“Move your feet, don’t stand around!” shouts Sal Ahmed to his young fighter. The teenager follows Ahmed’s advice, dancing about the ring while solo shadow boxing. The gym is sweltering hot as temps outside reach 90-plus, even with windows and doors wide open. The large ring takes up nearly all of the space. The gym itself is located just down the hall from the main entry of Garfield Park’s Gold Dome. The boxing gym, one of 20 in Chicago parks but the only one on the West Side, has been around for some 40 years. For Ahmed, who grew up in Austin, it’s a second home. He’s been a trainer for over 20 years after a brief stint as an amateur boxer himself. The young fighter he’s training on this day is his 16-year-old nephew, Yousif Sal. As the morning sparing sessions wrap up, the older fighters head out to make way for the neighborhood kids, who come in the afternoons to learn the sport. Ahmed likes to train youth as well as the older guys. His family, who owns Sunset Liquor in Austin, plans to open their own youth boxing program. The program will setup shop next door to Sunset in a storefront property the family owns at 5915 W. Division. At roughly 1,000 square feet, it’ll include a first-floor gym and dorm-like apartment upstairs for some of the youth. The family wants to provide both housing and training to keep kids off the street, Ahmed said. The family, which includes brothers Nayef, Bill and Naser, who runs Sunset, plan to officially break ground in November with an opening slated for early next year. This is also a way to introduce boxing to more young people, Ahmed said, adding that the gym at the Gold Dome field house, 100 N. Central Park, can take in only so many youth. The family envisions opening more youth gyms on the West Side once this first one gets established. The Ahmeds are funding the renovation themselves, including buying all the equipment for the gym. In all, they’re looking at anywhere from $40,000 to $75,000, said Naser Ahmed, who also goes by Nas. “I would love to open five of these gyms, but it comes down to funds,” he said, adding the program will be free for the kids and their families. Eventually, the family hopes to reach out to the Chicago Park District to partner up. The boxing mentors, whom the family would like to pay, will be community folk and some of the Ahmed’s fighters. Naser also has shared the family’s vision with their elected officials. Ald. Chris Taliaferro, whom Naser spoke briefly to about the program last spring, likes the idea. Ahmed, who’s 39, credits boxing for helping him ditch the street life as a young man. His family’s Austin roots began with their father, Mohamed, who opened Sunset in 1985. He relocated his young family from the Bronx, New York, in the early 1980s; younger brothers Naser and Bill were born in Chicago. Their dad, who died in a 2001 car accident, was committed to helping his community, Naser said. Mohamed Ahmed, a native of Yemen, would give kids $5 if they got A’s on their report card, Naser recalled. His sons have continued to give back, sponsoring barbecues, book-bag giveaways and Thanksgiving dinners, among other activities in the neighborhood. His family, Naser noted, is different from most non black-owned businesses in Austin. “We dedicate a certain amount of money from our business to go back into the community. We’re probably the only ones that does what we do,” he said. “It’s just the way we grew up. We have an attachment here. 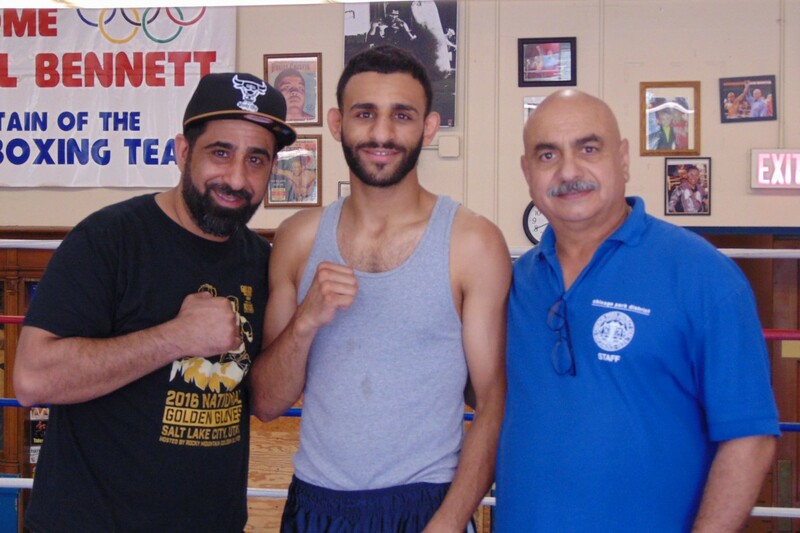 A youth boxing gym, Naser added, has been a dream of his older brother’s. 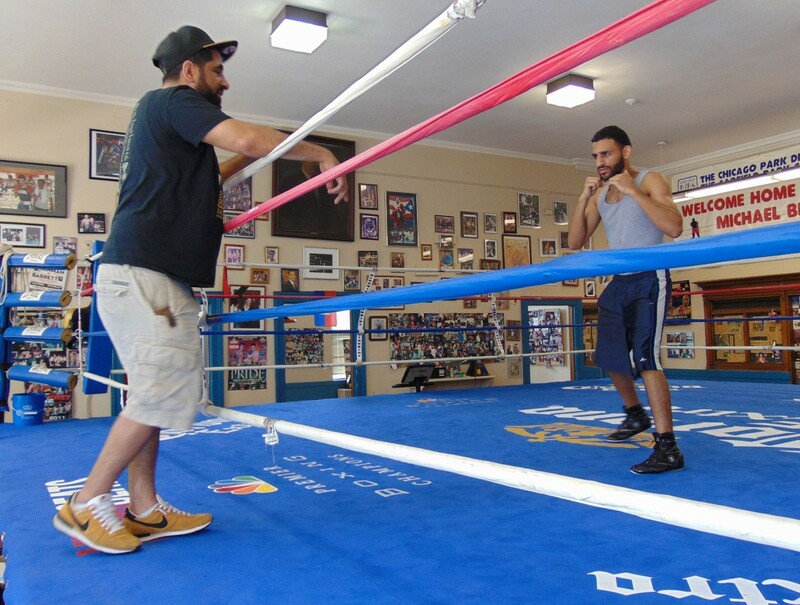 Sal Ahmed, who also trains boxers and hosts clinics in other parts of the city and suburbs, said the sport helped change his life. He wants boxing to do the same for the next generation.